Which experiments were used to help us understand? What are atomic line spectra? 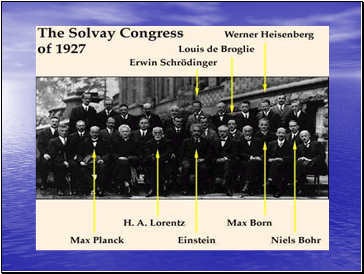 Which models were used to represent the atom? Which ones are handy to know?! 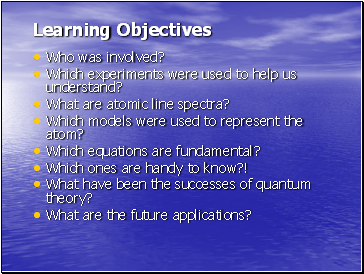 What have been the successes of quantum theory? What are the future applications? We believe in the possibility of a theory which is able to give a complete description of reality, the laws of which establish relations between the things themselves and not merely between their probabilities . 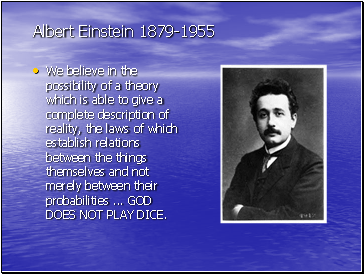 GOD DOES NOT PLAY DICE. 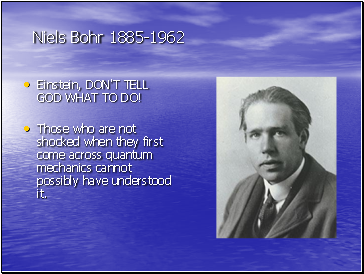 Einstein, DON'T TELL GOD WHAT TO DO! We have to remember that what we observe is not nature itself but nature exposed to our method of questioning. 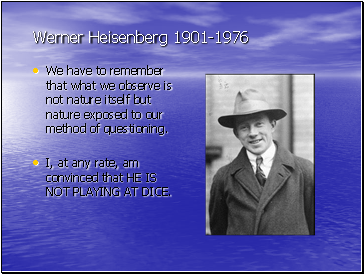 I, at any rate, am convinced that HE IS NOT PLAYING AT DICE. 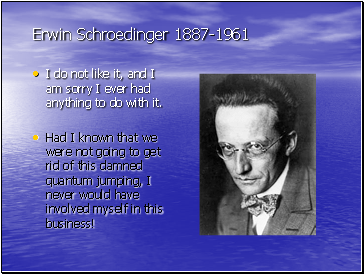 Had I known that we were not going to get rid of this damned quantum jumping, I never would have involved myself in this business! 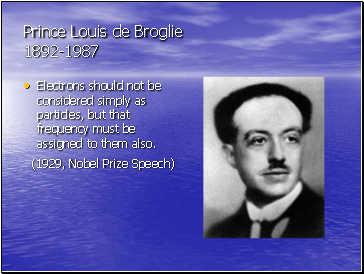 Electrons should not be considered simply as particles, but that frequency must be assigned to them also. Physics is finished, young man. It's a dead-end street. 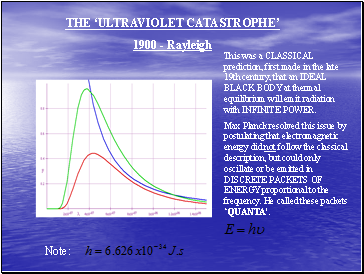 This was a CLASSICAL prediction, first made in the late 19th century, that an IDEAL BLACK BODY at thermal equilibrium will emit radiation with INFINITE POWER. 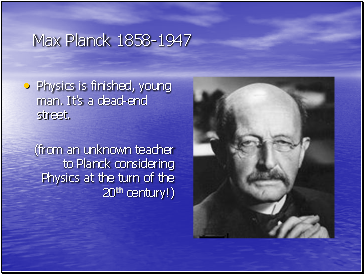 Max Planck resolved this issue by postulating that electromagnetic energy did not follow the classical description, but could only oscillate or be emitted in DISCRETE PACKETS OF ENERGY proportional to the frequency. He called these packets ‘QUANTA’.